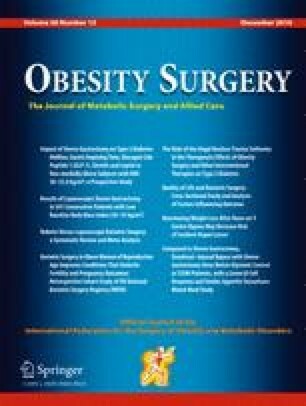 This systematic review was performed to compare the effectiveness and safety of SG in the obese elderly patients with the young ones. Cohort studies that compared outcomes among old and young patients who had undergone SG were included. Summary odds ratios were estimated using a random effect model. Eleven studies were included. Old patients had a worse outcome in percentage of excess weight loss than the young ones (SMD −0.39, 95 % CI −0.55 to −0.24). No significant differences were recorded in resolution of co-morbidities: type 2 diabetes mellitus (OR 1.60, 95 % CI 0.84–3.05), hypertension (OR 1.05, 95 % CI 0.65–1.68), dyslipidemia (OR 1.38, 95 % CI 0.68–2.80), OSAS (OR 0.64, 95 % CI 0.30–1.34), or postoperative complications (OR 0.89, 95 % CI 0.51–1.55) between the elderly and the young who had undergone SG. SG was effective for weight loss and resolution of co-morbidities with low complication rate in the obese elderly patients. The online version of this article (doi: 10.1007/s11695-016-2396-5) contains supplementary material, which is available to authorized users. We sincerely thank all authors who provided published data for our systematic review. This work was supported by research grants from the Natural Science Foundation of Chongqing (CSTC2012jjA10040), the General Program of Chongqing Municipal Health Bureau (2011–2-062), and the Tackling Project of Science and Technology of Chongqing Committee of Science and Technology (CSTC2012ggyyjs10038). All analyses were based on previous published studies; thus, no ethical approval and patient consent are required.